Electric bikes have been around almost as long as the bicycle itself. In fact, some of the first electric bikes started popping up in the late 1890s but the technology was far from being commercially viable. Even into the 1990s battery technology was not really ready for prime time. 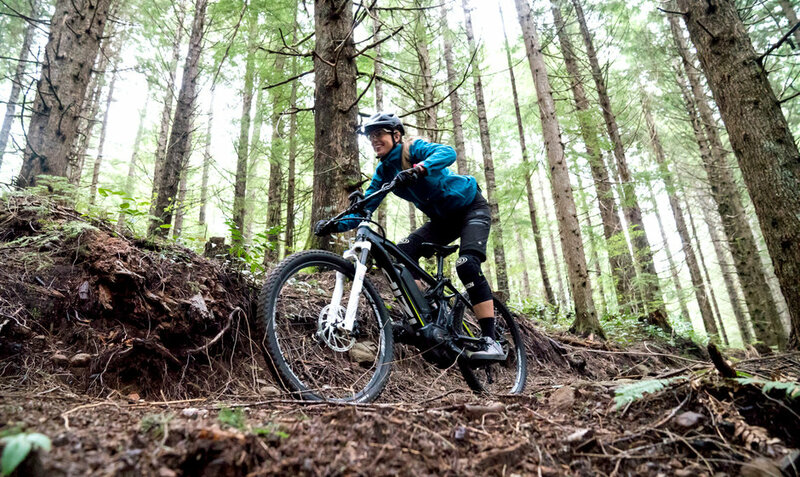 But over the last few years, electric bicycles have benefited from rapid advancements in stable lithium-ion battery cells and chargers, torque and speed sensors, and many electronic technologies coming out of the automotive industry. What Makes a Great Electric Bike? Which IZIP Electric Bike is for Me? Where can I ride my IZIP eMTB? Electric bikes have evolved to become more elegant and easy to use. Electric bicycles are now more like regular bicycles than ever before. They blend human energy and electric energy from a compact motor to create the perfect human-electric hybrid vehicle that intuitively augments your own pedaling power to help you climb hills, slice through headwinds and go faster and further on a bike than ever before – all while you perspire less! Today, electric bikes are more durable, more reliable and more convenient than ever before and IZIP is leading the way by offering a wide selection of different types of electric bikes for a wide variety of applications. Electric bikes for recreation, transportation, sport or fitness—IZIP has the perfect electric bike for you. See IZIP's full line of Electric Bikes!